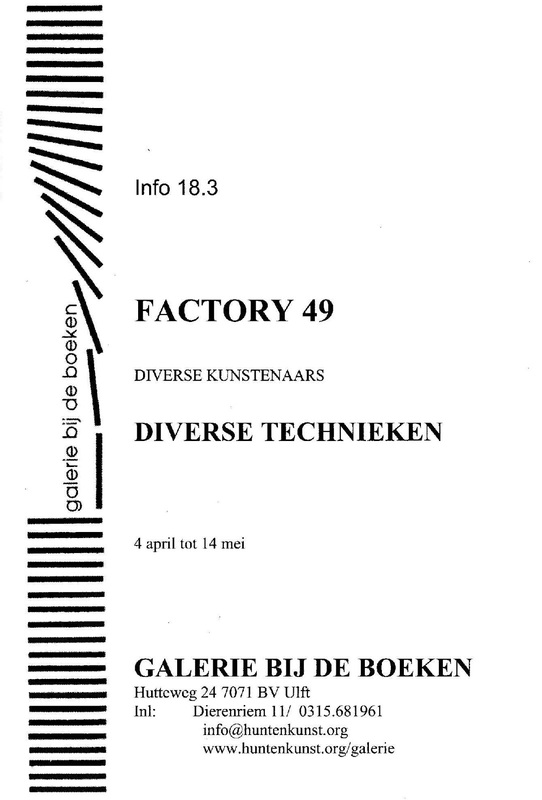 A group of Factory 49 artists from Australia and Europe held an exhibition in Galerie Bij De Boeken in The Netherlands - 'Various Artists, Various Techniques'. 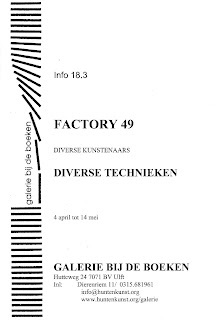 The artists involved were - Pam Aitken, Amarie Bergman, Mark Booth, Magda Cebokli, Sandra Curry, Lynne Eastaway, Franz Ehmann, Nicole Ellis, Jacky Ferrand, Catherine Gaillard-Remontet, Daniel Gottin, Michael Graeve, Barbara Halnan, Hiroshi Harada, Kendal Heyes, Wendy Kelly, Melanie E Khava, Alexandra Kennedy, Beth Kirkland, Gerda Maise, Francesca Mataraga, Rose Anne McGreevy, MAD, Roland Orepuk, Jacek Przybyszewski, Caitlin Reid, Margaret Roberts, Giles Ryder, Marlene Sarroff, Jacques Weyer and myself. 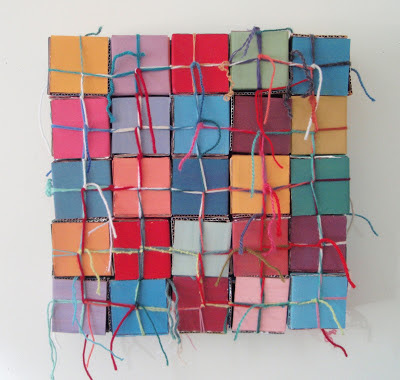 I exhibited a wall piece made from cardboard and yarn.